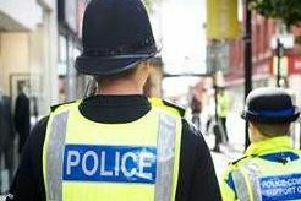 Lancashire’s Police and Crime Commissioner Clive Grunshaw has welcomed a national report highlighting the pressure on forces to ‘pick up the slack’ from other public services. In his annual State of Policing Report, Her Majesty’s Chief Inspector of Constabulary, Sir Thomas Winsor raised serious concerns over the ability of police to cope. His fears were today echoed by Mr Grunshaw who has repeatedly campaigned against budget cuts. Sir Thomas said, “The police are considered to be the service of last resort. In some areas, particularly where people with mental health problems need urgent help, the police are increasingly being used as the service of first resort. This is wrong. Mr Grunshaw said: “Finally, independent inspectors are seeing what we have been warning about for some time. Years of austerity have caused critical damage to our public services, putting the police under unbearable strain. “Demands on forces are rising around issues like mental health, online fraud, sexual exploitation as well as emerging crimes like modern slavery and this vital work needs resources. The police are there to help people and keep our communities safe but the Government continues to cut our budgets. “The Government must support the police to do this work. The resources need to be there for officers to do their jobs but other services have to be at full strength so people’s lives aren’t falling apart, leaving the police to pick up the pieces.